Jamie Browne is an Australian artist now living in Southern California. Jamie specialises in illustration and witty puns. After getting his degree in Visual Communication at Billy Blue College of Design, Jamie began work at Volcom as a Graphic Artist and brand ambassador. 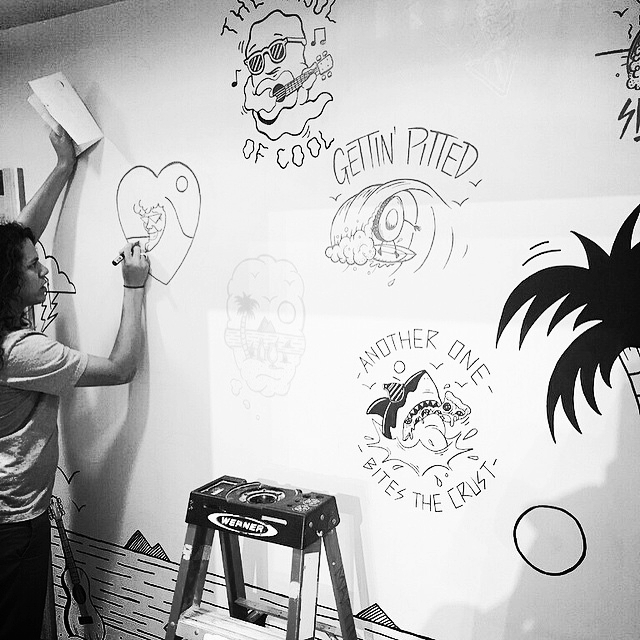 His doodles have been featured on t-shirts, murals, magazines, websites and ad campaigns.